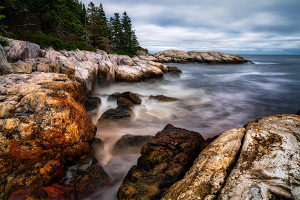 Not to be confused with the Goat Trail up Norumbega Mountain on Mount Desert Island, Isle au Haut's Goat Trail is a fairly strenuous hike that follows the island's rugged southern coastline. The trail wanders past many scenic rocky beaches and small and remote harbors, including Merchant Cove, Barred Harbor, Squeaker Cove, and Deep Cove. And as its name implies, the Goat Trail has some good uphill and downhill sections as it makes its way through the various cliffs and ridgelines above the coves. If you have time for a long hike that combines this with the Western Head Trail/Cliff Trail, you will see the best of Isle au Haut. 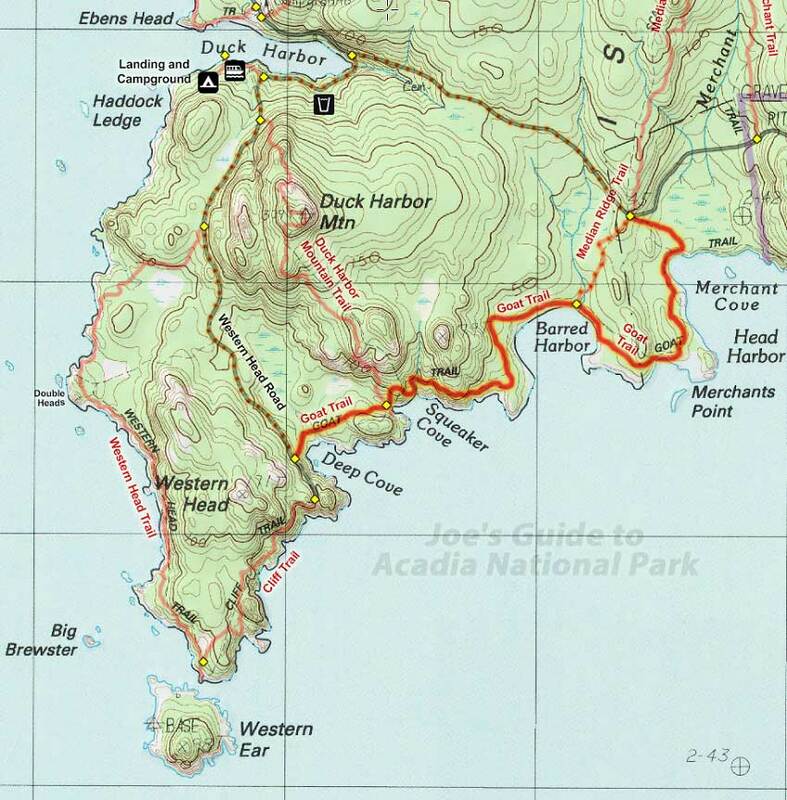 Length: 2.1 miles along the Goat Trail, 1.2 miles road hike from Duck Harbor to Merchant Cove start. One more short section of trail through a dense forest brings us to Deep Cove and the junction with the Western Head Road. 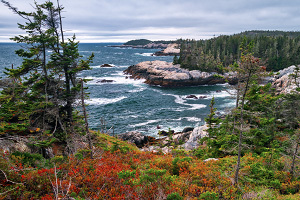 From this point, you can turn left (south) and continue following the coastline on the Cliff Trail/Western Head Trail or if you've had enough or are running out of time, you can hike the Western Head Road (roughly a 15 to 30-minute walk) north back to Duck Harbor. 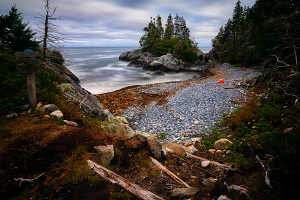 The Goat Trail is a wonderful hike that wanders through some of Isle au Haut's best terrain and it's fun to visit all of the little coves and harbors along the way. If you have enough time for a full day of hiking, the complete Goat Trail/Cliff Trail/Western Head Trail loop makes for a wonderful adventure. And if you are a bit pressed for time, skip the Merchant Cove start of the Goat Trail and go directly to Barred Harbor start.